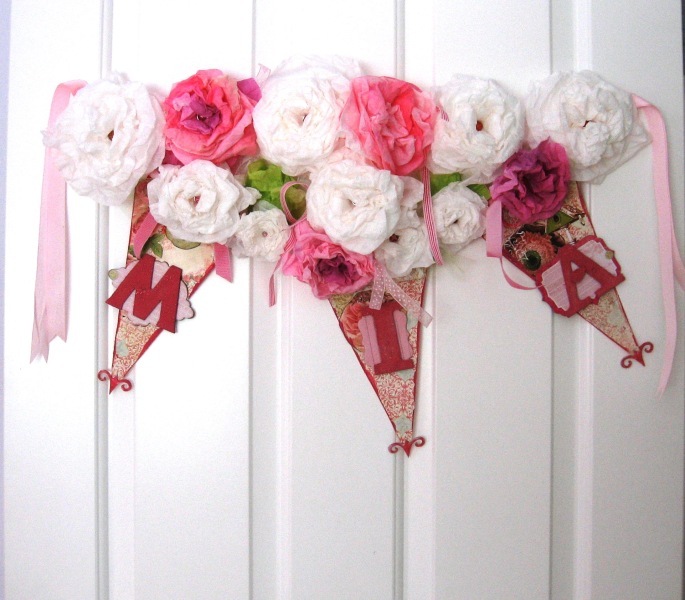 I made the sweetest banner for Mia’s bedroom door today. I’ve been seeing these around for awhile now and finally decided to get on it. 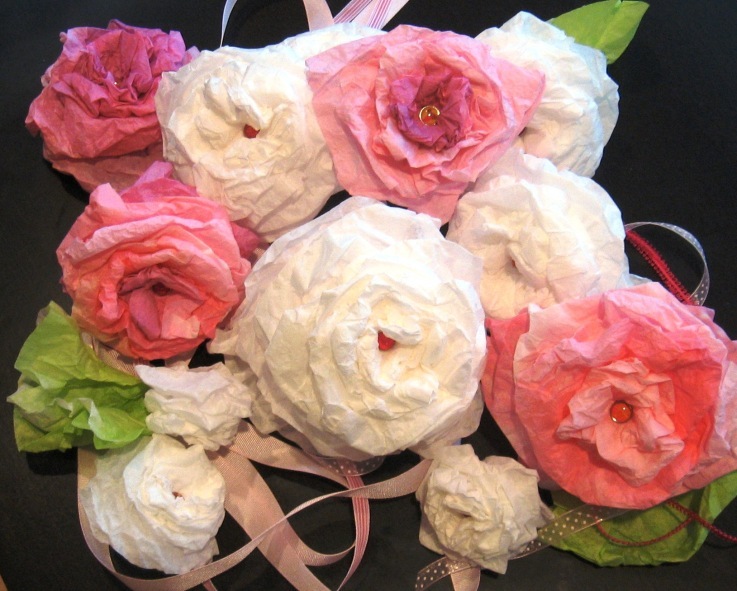 I was completely inspired by these coffee filter flowers after watching a tutorial by Julie Ann Shahin on the Bad Girls site. They were so beautiful on her project that I knew I was going to make a bunch of them..but what to do with them after that? Why make this banner of course! For the flowers I used plain white coffee filters, some Basic Grey brads and Glimmer mist (I made a few leaves while I was at it). The little flags were put together using BG paper, Cosmo Cricket Chip Alphas, MM Paint, UTEE. I cut out some words, flowers and an adorable bird house from Websters Pages paper and catalog and used some Thickers embellies. I strung everything together with lots of ribbon and up on the door it went! A friend pointed out your page on InspireMe!!! This is GORGEOUS!!! Thank you so much for sharing!!!! Oh this is beautiful Leslie! omg, this is adorable! 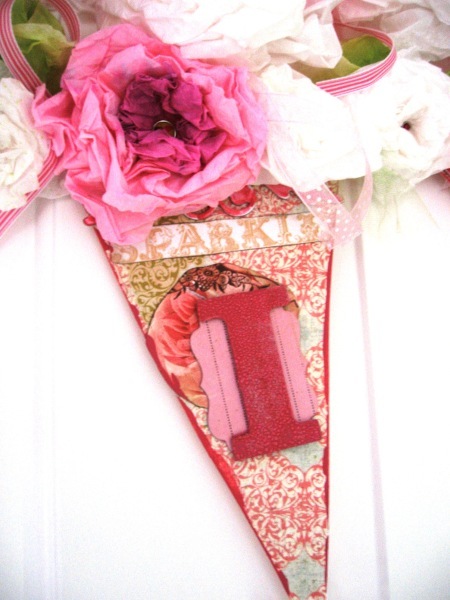 I just finished up a project for my girls too, after I saw Julie’s tutorial I had to make some flowers! this is sooo beautifull and classy!! i love your flowers, you could never tell they re coffee flters!